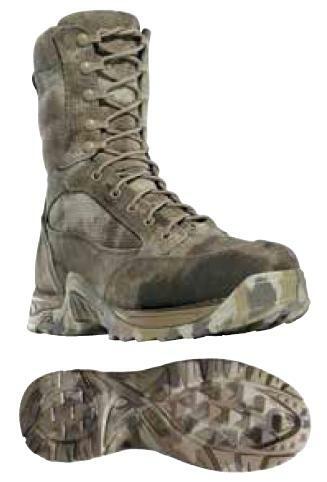 Danner started with their battle-proven Desert TFX boots and added the most advanced desert camo pattern. The result: a powerful new ally for the modern operator. Every angle of the new Danner Desert TFX Boots feature revolutionary new A-TACS camouflage – including the multi-directional outsoles. And like every boot in the TFX line, it features Danner’s patented, lightweight TERRA FORCE X system for uncompromising stability and support.